Cigar smokers are usually a little bit like wine connoussiers, passionate about destroying their health in an old-school, romantic way.Take this story for example. According to the Washington Post, every year, the all-male Society of the Friendly Sons of St. Patrick brings DC’s Irish power brokers together on St. Patty’s Day to celebrate their heritage with cigars and beer. Last year, cigar-smoking was banned from the event because of a law that prohibits all kinds of smoking inside. Another organisation, Fight for Children, hosts an annual smoke-filled professional boxing fundraiser. Smoking was banned there, too. To make sure it doesn’t happen again, Jack Evans, a DC legislator, pushed an emergency bill in the D.C. Council allow cigars at both events next week, and tried to make a permanent exception to the city’s smoke-free laws. There was a bit of a fight about it – of course anti-smoking DC groups responded to the proposal, but it looks like there cigar smoking will be allowed at the event this year thanks to Evans’ bill. 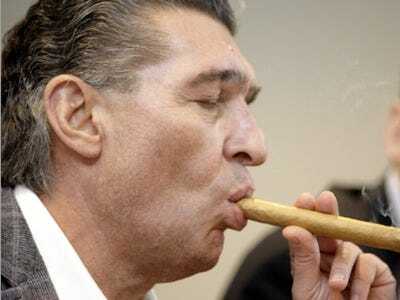 “Smoking is part of the history and part of the style of Fight Night, but we’re sure that Fight Night would be successful without cigar smoking,” said Jeff Travers, a spokesperson for Fight for Children said.